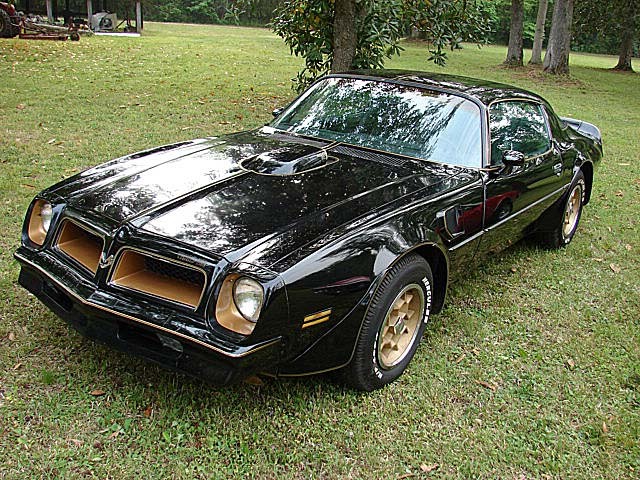 1976 PHS documented 50th anniversary LE Trans Am: Nice running and driving car optioned with a 400 w/auto trans, ps, pb, ac, pw, pl, deluxe interior, am-fm, 8 track, cruise, nice original black interior, nice quarters and floors. Car is extremely straight and has very nice door and fender fit, all spoilers are on the car, foilers on the car were a late 70's early 80's add on. Car photographs well, paint looks good from a few feet back but needs to be painted, I had it at a local show and received nothing but compliments on the appearance of the car. This car is a very solid start for a TA restoration. I planned on restoring it but have way too many projects currently to ever get around to this one. Interior is still original. seat's are very nice for there age, console is nice, door panels are nice, seat backs are nice, interior plastics are nice. interior needs carpet (included in sale) package tray and headliner is sagging. Steering wheel is good, gold dash is good, door panel birds nice, am-fm radio works, I don't have an 8 track tape to check the 8 track player to see if it works. 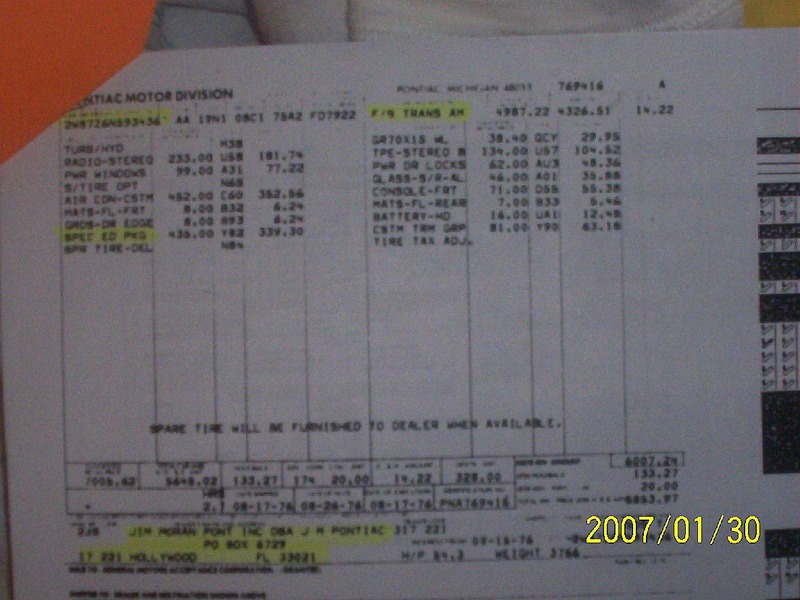 Door tag shows car had 19057 miles on 11-19-90, current mileage is 19810, 753 miles in almost 17 years. Floors are good, trunk is good, frame rails are nice, tail panel is nice. Original spare and jack still in the trunk. Engine in the car is not the original but appears to have been rebuilt as it is very clean under the valve covers, does not smoke or knock, but does have a slight lifter tick I assume is from sitting (it comes and goes).engine has a mild cam with W72 6X-4 heads and valve covers on it and duel exhaust. Click HERE for a short video of the car running.